Get a rosy complexion. Jurlique Moisturising Cream is a high-performance moisturizer that uses powerful plant oils plus an antioxidant complex to reduce the signs of aging and dehydration. It leaves the skin soft and supple and improves skin texture and tone over time. For those with aging, dehydrated skin who want smooth, moisturized and younger-looking skin. Warm a small amount between fingertips and gently press onto face, neck and decolletage daily. Extracts of Green Tea, Grape Seed, Rose Hip, and Soy Proteins help protect against environmental damage. Lightweight, non-greasy oils from Rosehip, Avocado, Safflower and Macadamia, are rich in vitamins and skin nourishers to help skin retain moisture. 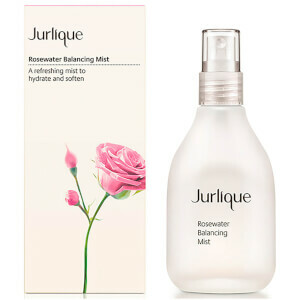 Essence of the Jurlique signature blend of Rose Oils gives a spa-like, luxurious scent. Aqua (Water); Caprylic/Capric Triglyceride; Persea gratissima (Avocado) Oil; Cetearyl Alcohol; Rosa canina (Rose Hip) Fruit Oil; Glycerin; Glyceryl Stearate Citrate; Carthamus tinctorius (Safflower) Seed Oil; Butyrospermum parkii (Shea) Butter; Simmondsia chinensis (Jojoba) Seed Oil; Althaea officinalis (Marshmallow) Root Extract; Calendula officinalis Flower Extract; Bellis perennis (Daisy) Flower Extract; Chamomilla recutita (Matricaria) Flower Extract; Rosa gallica Flower Extract; Viola odorata Extract; Viola tricolor Extract; Echinacea purpurea Extract; Camellia sinensis (Green Tea) Leaf Extract; Vitis vinifera (Grape) Seed Extract; Curcuma longa (Turmeric) Root Extract; Macadamia ternifolia Seed Oil; Fragrance/Parfum*; Tocopheryl Acetate; Retinyl Palmitate; Hydrolyzed Soy Protein; Panthenol; Lauroyl Lysine; Oenothera biennis (Evening Primrose) Oil; Lecithin; Xanthan Gum; SD Alcohol 40-A (Alcohol Denat. ); Totarol; Sodium Dehydroacetate; Citric Acid; Citronellol*; Linalool*; Geraniol*. *From Natural Essential Oil (Rose - Rosa damascena & Rosa centifolia). Great moisture product, will buy it again. I love Jurlique,..and rose scent is my favorite. I feel my skin so smoothly and moisture when I use this cream. I love Jurlique. The products are from nature. I have bought many Jurlique products from this website. They are cheaper than other websites. Smells good. Moisturizing cream plusthe wonderful rose smelling. I love the brand, almost everything..and rose flavor is my favorite. I feel happy when I use this cream and it's moisturizing. Nice moisturizing cream. Like it a lot and love the fact that it comes with an expiration date! The smell is good, even for me (a person who does not like rose flavor). But it is not as moisture as I expected. Generally speaking, the product is good. This cream smells like a dream and I love the way it makes my skin feel. I have really dry skin, so it loves to soak this up. I give it two thumbs up for how it smells and how it makes my skin look and feel. This was my first Jurlique product and my favorite thing about it is the scent. The rose fragrance is fresh and natural - like a rose in a warm sunny garden. I apply the cream with patting motions to avoid tugging skin. It absorbs well and leaves a light rose scent that dissipates a few minutes later. I haven't noticed any specific benefits to my skin from this product, but it smells so wonderful I temporarily don't care. The scent of this sent me scrambling to try other Jurlique rose products. I probably won't repurchase this cream because I want more skin benefits from my moisturizer, but will definitely purchase other Jurlique rose products to find a better fit in my routine for this lovely scent. The scent is so nice.